So what are "Casual Intruders"? Possibly they could be those people that hang around on street corners, or maybe the mother-in-law (you know she comes for the day and stays a week), or that good friend that you just can't wait for to leave....you know the ones. 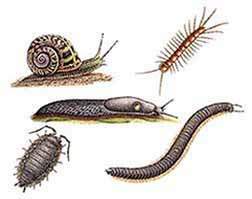 Well not really, though they probably do qualify as well, no, they are the wild life which we get into our homes and premises, but which are not officially classified as pests, in fact, those types of animals listed above. Pest Control companies do take out contracts for the control of these types of "pest" but it should always be born in mind that insecticides will kill more than the target species, no matter how careful the operator is. Always remember that there are alternative treatments to poisons, some work and some don't. So....click on one of the links above, or , on the piedpiper if you want to e-mail me, failing that click on another category button. If I can't tempt you, than you'd better go out for a drink....sounds like a good idea..